I met the love of my life at college and we were married 1994. We had 2 beautiful daughters, one in 1998 and one in 1999. After my second daughter was born, I suffered from severe post partum depression, and we had to give up our home and move closer to family. It took about one year to recover from the depression. Within a few years, we were expecting again. Our first son was to arrive in April. River Christian, was born April 8, 2003, and died that same day. He was full term, and the most handsome boy I had ever seen. I had an undetected velementous cord insertion, which was the ultimate cause of death. Although, because of the velementous cord, my placenta abrupted. River’s death was very shocking. I was a novice at grieving, I did not know how to do it, so I did it how other people wanted me to. That didn’t work out too well for me. But, it seemed to make everyone else happy. A year plus later, we had another beautiful daughter, and it brought a healing balm to our hearts. We decided to try one more time and we were expecting another son, Blaze Canyon, to arrive October 2006. At about 23 weeks, during a level 2 ultrasound, we got some devastating news. Blaze was suspected to have a fatal chromosomal abnormality, called Trisomy 18. We decided to carry him as long as we could and also made a difficult choice not to get the diagnosis confirmed. He was born, October 30, 2006 and died the day before my second daughter’s birthday, November 1, 2006. He did in fact have full Trisomy 18. He was such a fighter and he taught me so much about courage and being selfless. I longed to be his mommy and raise him. Watching him die, was like watching myself die. Losing two sons did a lot of damage to my heart. After Blaze died, it took the wind right out of my sails, I grieved hard and I grieved my way. As a result, we not only lost our boys, but our friends, our church family, and most of our family. My only solution was to have another baby. So we tried and tried, with a miscarriage at 14 weeks in 2007, a baby girl, Miriam came and left us too soon. We don’t know why we miscarried, and losing her soon after Blaze’s death was extremely difficult. Then, we conceived again, our precious baby August, which was another devastating ultra sound. The doctor could not find a heart beat, she said, “a partial molar pregnancy“. A very much wanted pregnancy ended at 10 weeks in 2008. This loss included about 10 months of blood tests after, looking for signs of cancer due to the molar pregnancy. These losses left me forever changed. Sometimes I wondered if life was just a cruel joke. We had our beautiful 8th child, in July of 2009. Another healing balm. At a month old, we almost lost her to severe anemia and she had 2 blood transfusions. We had to wait 8 months for a diagnosis, and we found out that she is fine. Our journey has been so difficult, and our only anchor has been our faith. Having another child doesn’t erase the ones that are not here, it helps, but it does not fix the ache, the missing, the memories and problems that can never be fixed. I had to learn this the hard way. The journey of grief is not over, we still grieve everyday and miss our children. 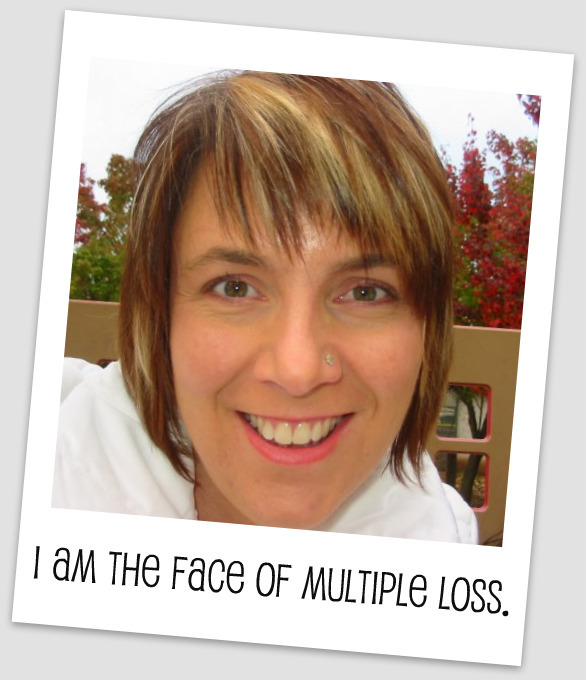 I have discovered this is a life long journey and I continue to learn coping skills to manage my grief. We are trying to figure out each step as we go, one day at a time. I go on with life, in honor of my children in Heaven and I keep going on living life, for my children on Earth who need me still. I have a lot of fears, tons of problems, and many weaknesses. I make a lot of mistakes, but I also do a lot of things right. I think that is a good thing to remain humble and in awe of life and sorrowful over death. Nothing is really in our control. I am human, not a grieving super hero. I pray in the end of my life, I will have glorified my Savior, who sacrificed everything for me, now, I do the same for Him. It’s hard to live with a broken heart, but I have learned how to be selfless and live for those who love me and need me here. It’s worth it to me. I dedicate this fight for life and really living it, to my courageous children who showed me the true meaning of life, which is unselfish love. Life continues to be bittersweet. I am so sorry for your losses. I can't even imagine the pain you have gone through….you have no idea how much strength you have shown to me because even after all of your losses you continue to try again. I am scared to death of trying again after losing my daughter Aubree to Trisomy 18 at 31 weeks gestation. You are truly a woman of courage and strength. Your faith is inspiring. I am so sorry for you loss, and what a pretty name, Aubree. Thank you for your encouragement today in what you said. It means a lot to me. Praying God's blessing on you and your family. I saw your story posted and didn't get a chance to read it until today. You are so strong and such an inspiration. I haven't met very many people with little boys named River on earth or in Heaven. My thoughts and prayers are with you and your family as we continue to live in honor of all of our children.